For years I've been hearing all about how amazing Charleston is and that if I ever went I probably would never want to leave. I had heard about the charm, the delicious food, and how historical it was. Well, let me just say, we had a chance to visit last week and all those things I had heard? Yeah, Charleston was so much more! If you've ever been, I'm sure you understand. If you have not had the chance to visit, I suggest doing that sometime soon. There are so many fun things to do, see, explore, and discover. I already can't wait to go back! While not located in the central hub of Charleston, the Angel Oak is worth the short drive. It's an absolutely beautiful and magnificent oak tree that really has to be witnessed in person. Pictures truly don't do it justice. The Charleston Tea Plantation is the only tea garden in North American and on a sunny spring day, touring this plantation was just beautiful! For a small price, you board a trolley and drive around the grounds while the most adorable tour guide explains the process of growing tea. It's interesting, picturesque, andddd you get to sample lots of different types of tea. That's a win-win-win if you ask me! Callie's Hot Little Biscuits -- Southern biscuits. I mean, I don't think I really have to say anything else but this was the perfect place to stop for breakfast. We also may or may not have gone back after dinner one night and enjoyed some late night biscuits! Leon's -- This place really had it all. It had atmosphere, a killer vibe, and the food was absolutely amazing. Truthfully, I wish this was in Memphis so we could go back all the time! Brown Dog Deli -- We spent the day wondering around Charleston and just happened to stop into the Brown Dog Deli for lunch. It's a great spot for a quick bite and it turned out to be one of my favorite meals. Sometimes the best activities are unplanned. While we were at the Charleston Tea Plantation, our tour guide mentioned that there was a vineyard close by. After a quick google search, we found Deep Water Vineyard and decided to go. Basically, it feels like you're hanging out in someone's backyard. Someone who just happens to have vineyard and a moonshine distillery. There were food trucks, live music, tastings, and bunnies! It's incredibly difficult to choose a favorite part of the the trip, but the part that's towards the top if my list is simply the walking around and exploring. We spent a good chunk of our trip just wandering up and down the gorgeous streets of Charleston. I love the houses, the shops, and all the history. If you visit Charleston, I highly recommend just getting lost in the beauty of the city. After spending a few days in Charleston, we went to Folly Beach for the rest of our vacation. More on that tomorrow. 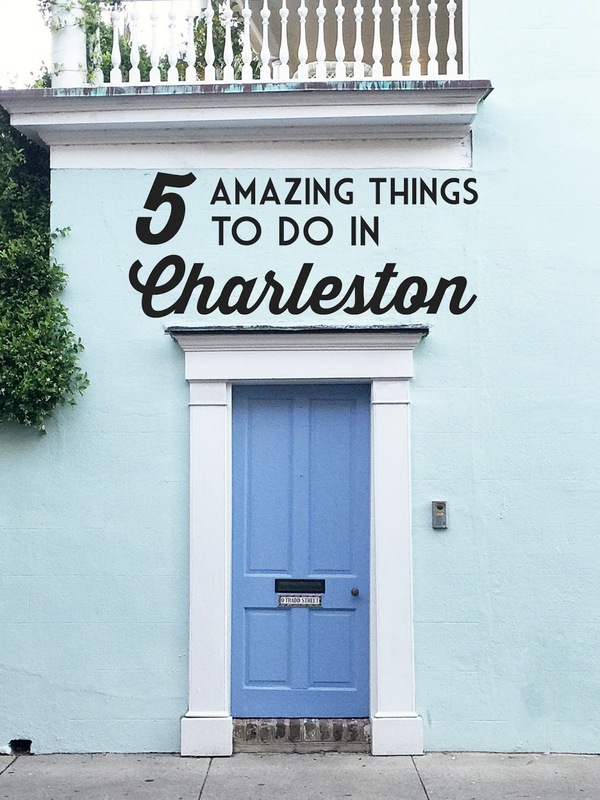 Have you ever been to Charleston?? What did you enjoy the most? We were looking into going to Charleston this summer but the weekend is too expensive. It's still top of my list though. Your pictures make me want to visit even more now! Wow! Nice post and its good in turn. I am quite impressed with this post. I just loved the way you have explained here. It’s so clear. Actually I was searching for such a topic, because I have one paper deal related to such topic, like language and speaking skills. So I was just wonder how I can present my paper in best way. So I took Google help, here I got this post and really it helped me a lot. It really inspired me to do my paper arrangement in good and useful way. I admire people who keep giving out valuable stories through great writing. I'm glad to have read this blog. Thanks and hope to read more soon. There are skills like Listening, Speaking, Reading, and Writing. In the context of first-language purchase, the four skills are most often acquire in the order of listening first, then speaking, then possibly reading and writing. Having good listening skills is important no matter what language you are speaking, and can help you speak more well with the people around you. Listening is not only one of the core skills for culture languages, but it is also a primary skill in life as well! I am an article author and working in an organization called best essay writing service. Best essay writing service is vital in the lives of each stand in. An essay is a piece of writing that gives the author's own spat, but the definition is unclear, overlapping with those of a paper, an article, a booklet, and a short story and best essay writing service have usually been sub-classified as formal and informal. Audits can give the understudies the entire points of interest of an exacting work do well to with the goal that the students can realize whether the expert co-op is honest to goodness or not in display their group.